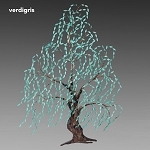 Home > Trees > Legacy Tree - Please call for more information and to obtain pricing. Part Number:360LT - Please call for pricing. Since all pieces made at Andy Brinkley Studio are hand-crafted, measurements are approximate. 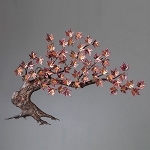 The Legacy Tree is designed to provide a way for organizations to honor or commemorate significant individuals with a growing and tangible tribute. 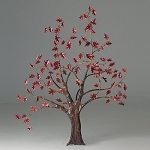 Hospitals, churches, schools, libraries, or other organizations can display the tree in a prominent place, and add engraved overlays to the leaves in memory or honor of persons who are to be recognized. 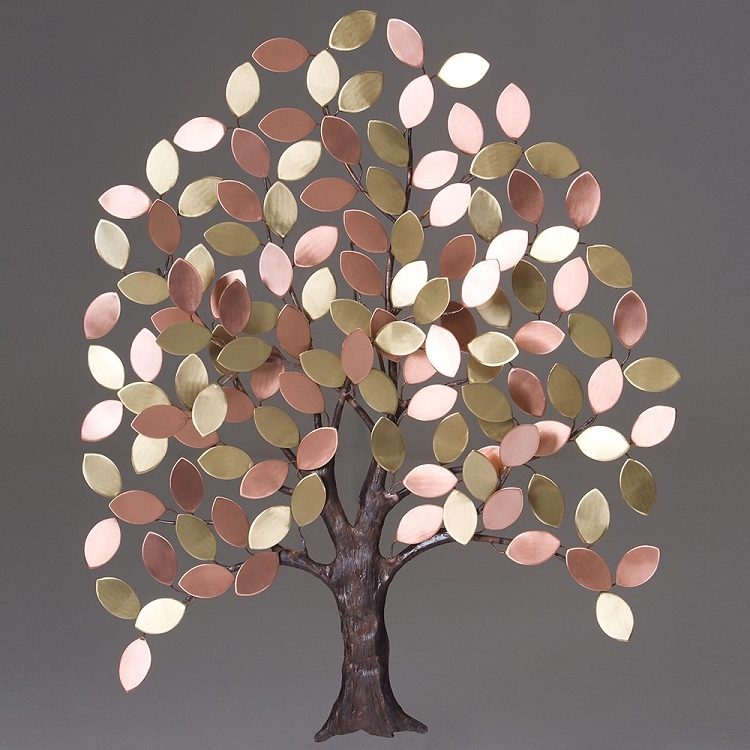 The tree is designed to be mounted easily on any type of wall or structure, and it is assembled with a complete array of 150 - 200 copper and brass leaves. 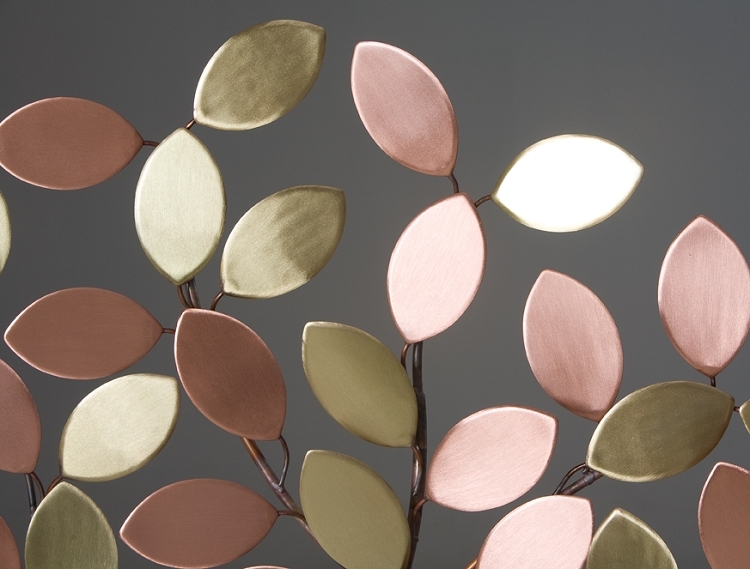 The engraved overlays are attached to existing leaves, so that the tree is complete with or without engraving. 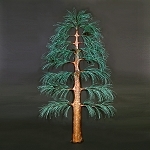 Handcrafted in western North Carolina, the typical tree is approximately six feet tall and 4-1/2 feet wide. 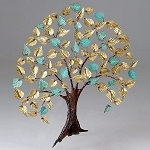 The Legacy Tree can be customized, such as the tree with the dove in the center, which would be appropriate for faith organizations. 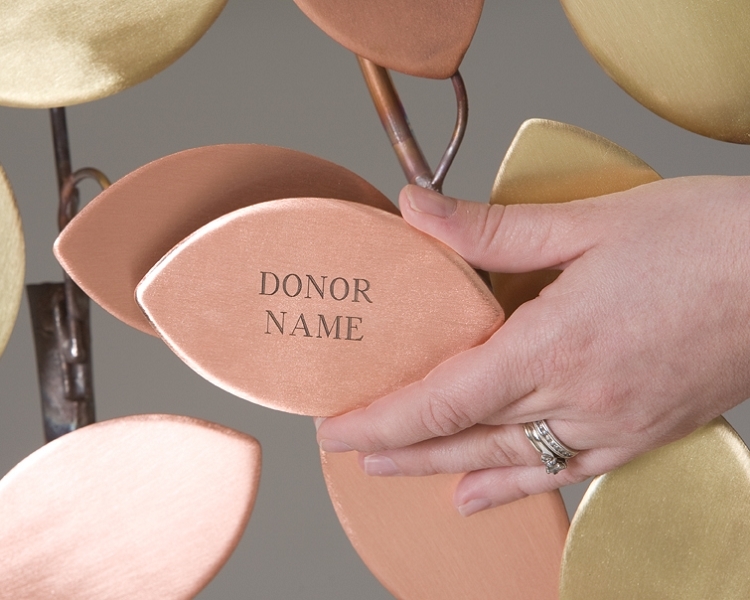 Non-profit organizations may wish to consider using the Legacy Tree as a fund-raising project, offering leaf overlays to contributors who wish to honor a relative or other recipient.